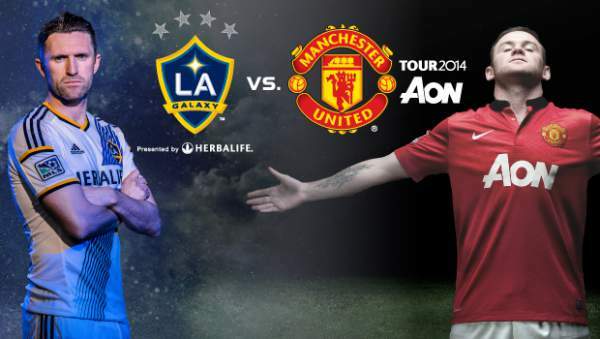 LA Galaxy vs Manchester United Live Streaming info: Today we have the first game of the pre-season friendlies for the Manchester United fans as Man United starts off their tour against LA Galaxy in Los Angeles. The game will be played at the StubHub Centre in Los Angeles. The Premier league will start on August 12th but the Major League Soccer has already been started with Match day 23rd to be played on 20th July. LAGalaxy is currently eighth on the table with 22 points from 18 games. Man Utd season was not a very bad one as they finished the 2016/17 season with three trophies. Jose Mourinho’s main objective this season will be the league and by looking at his recent transfers he is in for glory. Romelu Lukaku has been signed by the reds to fill in the number nine jersey, previously worn by Zlatan Ibrahimovic who had a wonderful season at Old Trafford. United won the Community shield, Capital One Cup, and the Europa League. Despite finishing sixth in the league they qualified for the Champions league, being the Europa League winners. Galaxy lost the last time these two teams met in an International Friendly by 7-0, the game was way back in 2014. Their current form in the Major League Soccer is very bad as they are currently eight in the league with 22 points from 18 games, two points below Seattle Sounders and two points above Real Salt Lake. Stay tuned to TheReporterTimes for latest football news around the world.